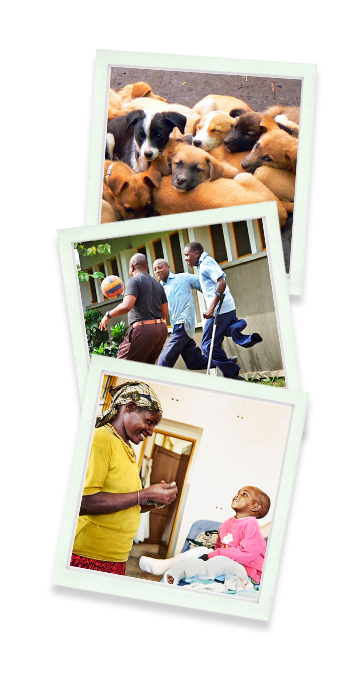 Usa River Rehabilitation Center is a place for people with and without disabilities to live, learn, and work together. We support a clubfeet clinic for children and babies, people living with mental challenges, and a vocational training program. “We believe in your ability” is our motto and also the focus of our thoughts and activities. The center serves 350 people in the local community. Mbwa wa Africa is a non-profit organization founded in 2013 and based in Usa River, Tanzania. They are a no-kill shelter that rescues and rehabilitates unwanted, abandoned, and neglected dogs from the streets and re-homes them to loving new owners.